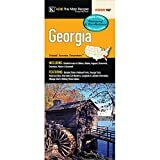 Rand McNally's Easy To Read State Folded Map is a must-have for anyone traveling in and around Georgia, offering unbeatable accuracy and reliability at a great price. Our trusted cartography shows all Interstate, U.S., state, and county highways, along with clearly indicated parks, points of interest, airports, county boundaries, and streets. National Geographic's Georgia Guide Map provides travelers with the perfect combination of detail and perspective in a highly functional travel tool. A handy combination of map and guidebook, this map is loaded with information on historical, cultural, recreational, and ecological attractions. Cities and towns are easy to locate with the map's helpful index. Hundreds of points of interest are shown, along with national and state parks, public campsites, visitor information centers, airports, and hospitals. A complete road network of highways, tollways, and other roads, along with distances noted in miles for major highways, will help you find the route that's right for you. 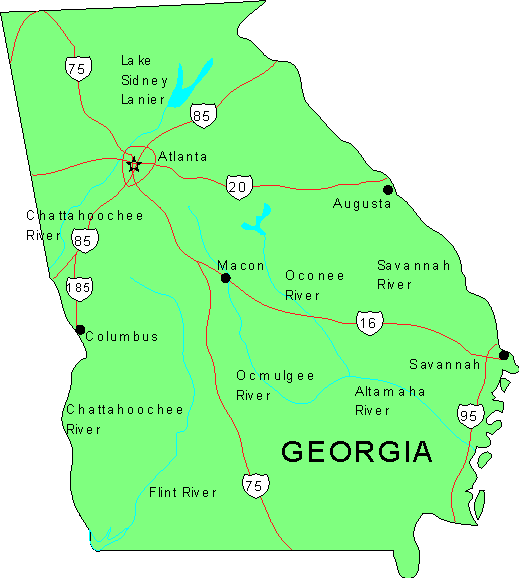 Inset maps of Atlanta, Athens, Augusta, Albany, Savannah, Brunswick-Jekyll Island, Macon, and Columbus provide greater detail of these urban centers. The Okefenokee National Wildlife Refuge and Swamp Park is highlighted, as is the Sea Islands scenic drive from Savannah to Jekyll Island. 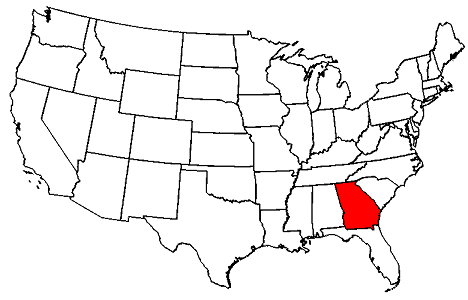 Whether your travels in Georgia bring you to its cities or its most remote wilderness areas, you'll find this map to be an invaluable tool for exploring the largest state east of the Mississippi. Savannah Historic District Illustrated Map. Know Before You Go! In Savannah’s Historic Landmark District, where a historic building, monument or other point of interest beckons around every corner, a 3D, birds-eye-view wayfinding map from a professional cartographer is must-have for serious visitors planning their trip. Our illustrated map of Savannah is not only chock full of highly detailed pictorial depictions of popular attractions – including the entire length of River Street – but also comes loaded with historical factoids that explain her rich history. 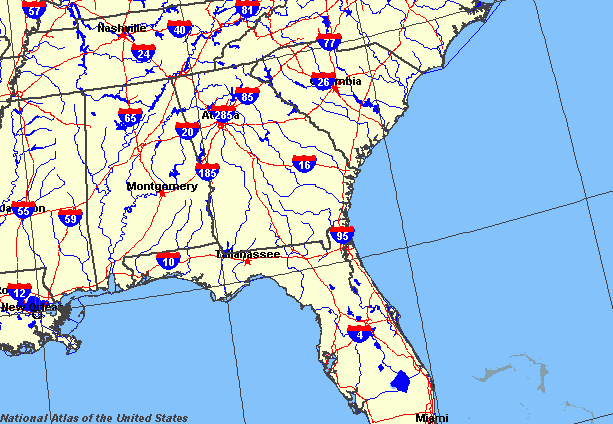 The unique orientation gives you an immediate “lay of the land” mirroring the classic maps of Savannah in the 19th century that depict the river (or North) on the bottom. With a grid system of streets, this overhead perspective allows you to easily navigate to the landmarks that make Savannah such a national treasure. The map comes folded at 4×9 inches and opens up into a vibrant 18×27 inches revealing the artwork within. On the back side is a smaller map highlighting the city’s famous squares coupled with listings for top-ranked dining, lodging, tours, and museums. There’s also a regional map should you want to visit other attractions outside the historic district. Remember, don’t settle for the one-time use, throwaway freebie maps full of ads when you arrive at the city or your hotel. Our maps are ad-free, of high quality durable paper, meant for you to know before you go, to have in-hand during your tour, and then as a souvenir memento piece to bring home. If you enjoy Savannah's rich history, famous figures, and elaborate architecture, then be sure to get our bestselling SAVANNAH HISTORIC DISTRICT ILLUSTRATED MAP. Do you like ghost stories, paranormal activity, and strange tales of the macabre? Then you'll love our HAUNTED SAVANNAH ILLUSTRATED MAP – a must-have when touring America's Most Haunted City. And if you're planning a visit to the historic outdoor museum of Bonaventure Cemetery in Savannah, do not enter without our BONAVENTURE CEMETERY ILLUSTRATED MAP, or you're guaranteed to get lost. Note on compass: NORTH is on the bottom of the Savannah Historic and Haunted maps because of the historical significance of the riverfront area. This area is what draws over 13 million visitors each year and what has turned the city around economically since the late 1970s. Illustrative maps of other cities move compass directions when there is a specific tourism area that needs to be marketed to. There would be no Savannah Historic District if not for those businesses along the river. It's where her riches came from dating back to the early 1700s. A vast majority of the incredible 19th century birds-eye-view maps of Savannah also show her in this non-traditional, north on bottom, format. Once you get your orientation adjusted, this map is all you'll need for wayfinding. Note on DOT routes: The free DOT shuttle and bus routes on the back of the Savannah Historic and Haunted maps were changed by the city after the maps were printed. Please visit connectonthedot.com for the latest routes. Once our map inventory is depleted, we will update the printings with the new routes. Rand McNally's folded map for Atlanta is a must-have for anyone traveling in and around the Atlanta area, offering unbeatable accuracy and reliability at a great price. Our trusted cartography shows all Interstate, U.S., state, and county highways, along with clearly indicated parks, points of interest, airports, county boundaries, and streets. The easy-to-use legend and detailed index make for quick and easy location of destinations. You'll see why Rand McNally folded maps have been the trusted standard for years.